Billy Lang is furious the court case collapsed. 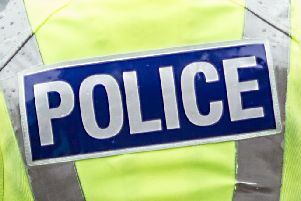 A pensioner lost his £50,000 life savings when his home in New Stevenston was broken into. The cash has never been recovered and now a suspect has walked free on a technicality because the Crown took too long to bring him to trial. The money was taken from the home of retired coal merchant Robert Lang in Clydesdale Street. Donnie Potts (24), of Paisley, was accused of breaking into the house in April 2013 and was due to stand trial at Hamilton Sheriff Court. However, there were several delays and Appeal Court judges have refused prosecutors another adjournment. They had wanted more time to investigate information that Potts had banked large sums of money in the weeks after the raid. The Appeal Court was told that when the trial was first due to take place early last year the main evidence against Potts was DNA allegedly found on a crowbar left in Mr Lang’s house. However, his was not the only DNA on the tool. There was also evidence from telephone analysis which put Potts in Lanarkshire at the time of the crime. Potts denied the charge and after several adjournments the Crown sought another delay in June this year. It wanted more time to investigate evidence that Potts had deposited more than £15,000 at different bank branches within four weeks of the theft. Bank staff had found it unusual that many of the banknotes handed over were by then out of circulation. This, noted judge Lord Bracadale, was significant because Mr Lang had been a “hoarder” of money and the bank evdidence would make the case against Potts “more compelling”. The Crown had known about this evidence but hadn’t got a warrant to obtain the accused’s bank records due to a “complete and sustained breakdown within the administration of the procurator fiscal service”. Lord Bracadale said the Crown had “failed to advance sufficient reason to justify an extension” and the case could not go ahead. Mr Lang’s son said they had told the police about the old banknotes at the time but were unaware of the bank evidence. He stated: “You can imagine how angry I feel about it now. We knew about the crowbar DNA, but didn’t think that was strong enough to get a conviction. Mr Lang said the break-in remains a mystery to the family, stressing: “There is no connection between us and Potts. It’s all very strange.